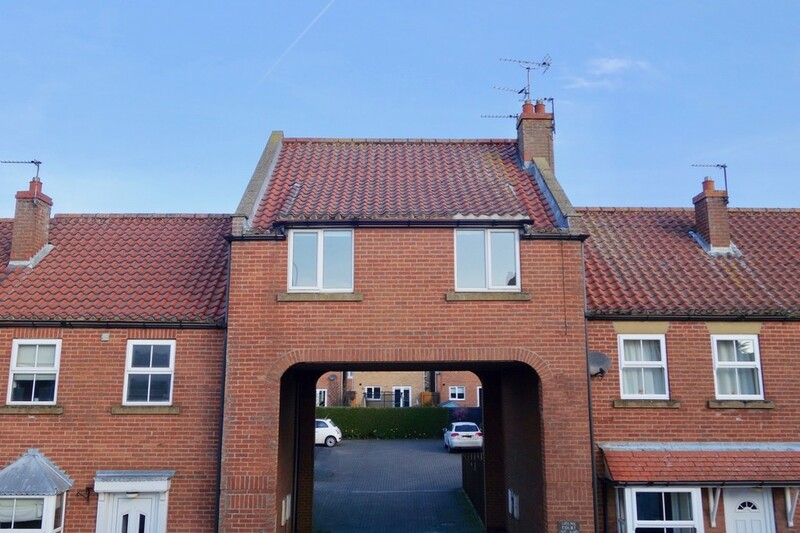 This one bedroom flat is situated within walking distance of Market Weighton town centre and has off street parking. It is accessed via a private entrance lobby and a staircase up to the flat itself. 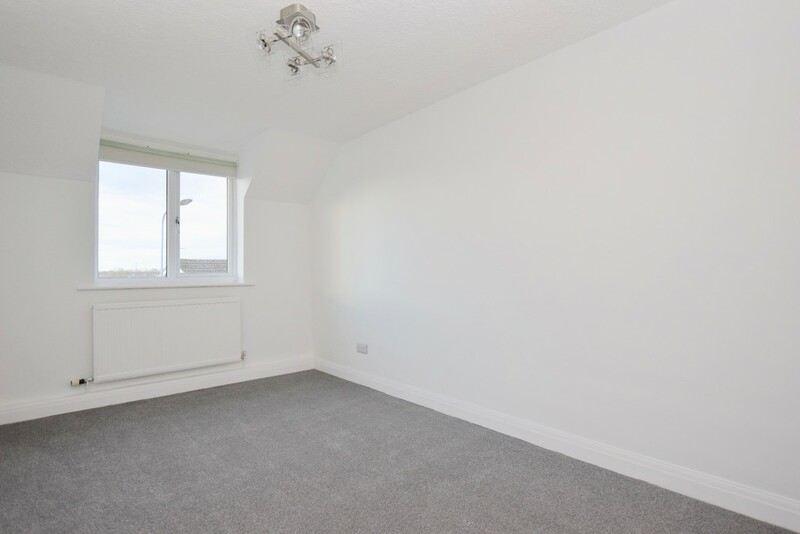 The property is double glazed throughout, has gas central heating and offers good sized rooms. 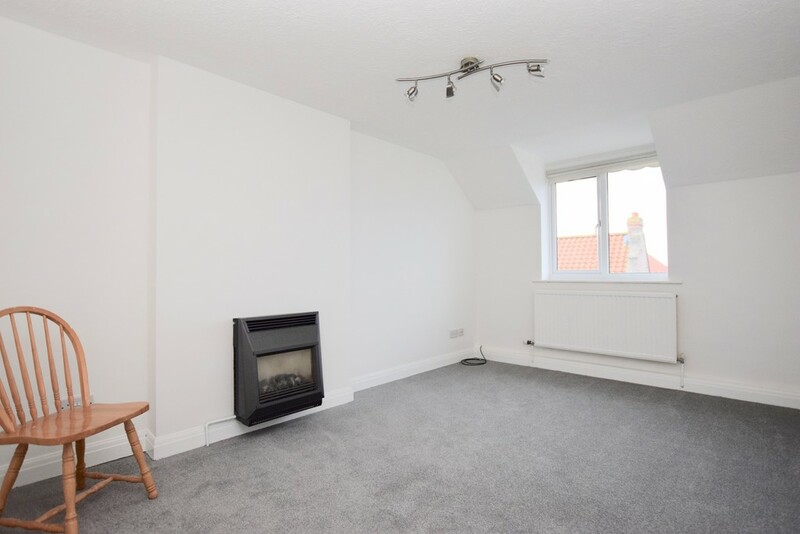 DESCRIPTION This one bedroom flat is situated within walking distance of Market Weighton town centre and has off street parking. It is accessed via a private entrance lobby and a staircase up to the flat itself. 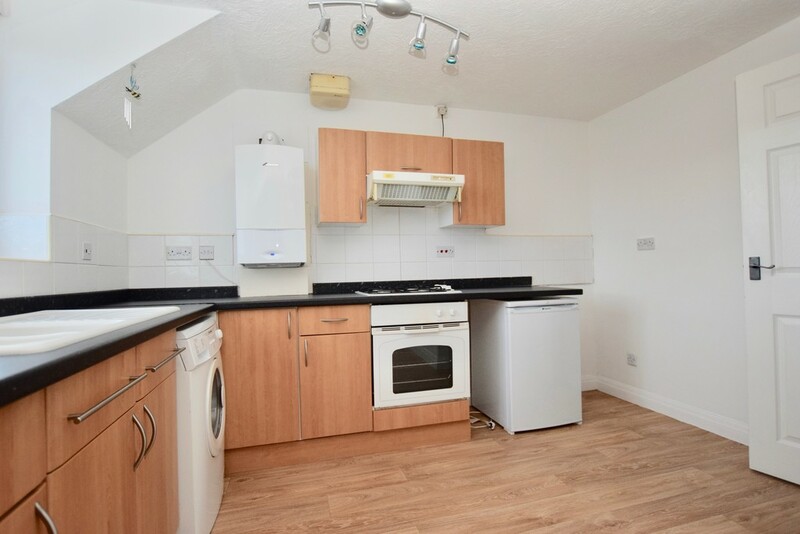 The property is double glazed throughout, has gas central heating and offers good sized rooms. LOCATION Market Weighton is a small town and civil parish in the East Riding of Yorkshire, England. It is one of the main market towns in the East Yorkshire Wolds and lies midway between Hull and York, about 20 miles (32 km) from either one. 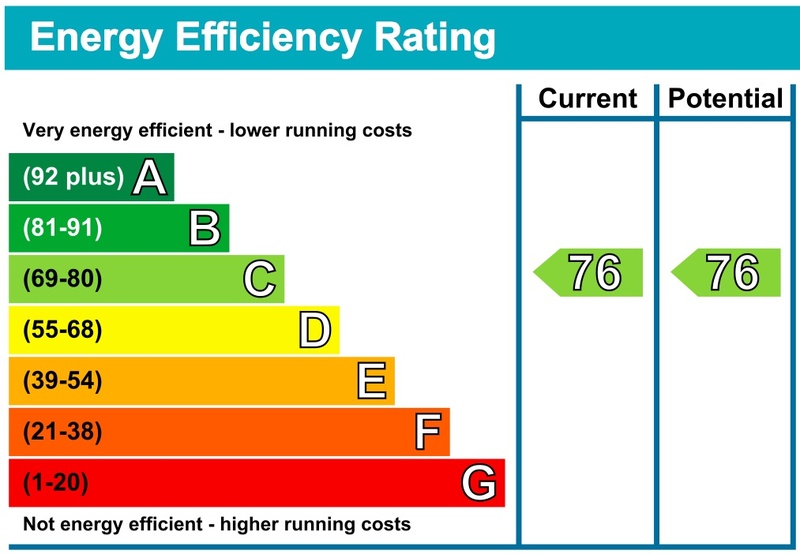 The towns amenities include schools, churches, a doctors surgery, dental surgeries, a library, public houses, high street shops, and supermarkets, one with a filling station. Sports and leisure facilities are also well catered for. The nearest railway station is in Brough, and there is good access to the M62 as well as a regular bus service between Hull & York. ENTRANCE HALL Recessed ceiling spotlights, storage cupboard. SITTING ROOM 14' 3" x 10' 1" (4.34m x 3.07m) Wall mounted gas fire. Window to front aspect, radiator. 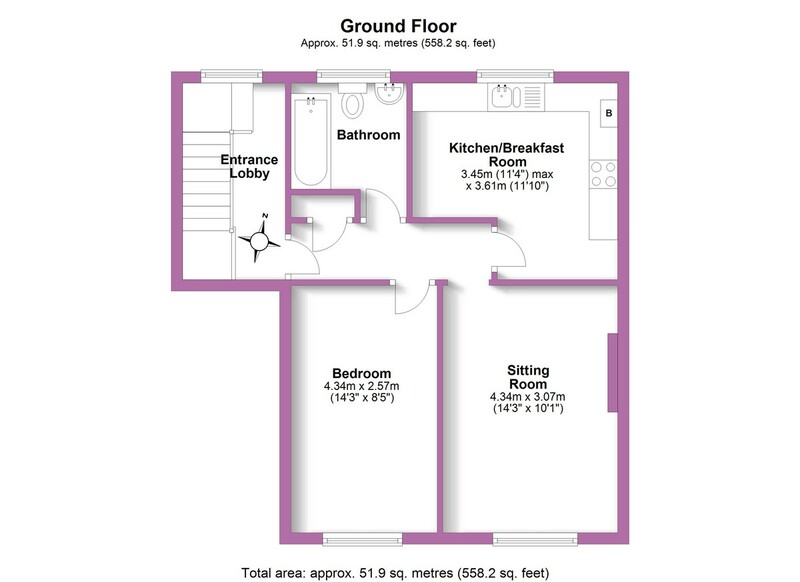 KITCHEN/BREAKFAST ROOM 11' 4" (max) x 11' 10" (3.45m (max) x 3.61m) Range of fitted wall and base units, integrated electric oven with gas hob above and extractor over. One and a half bowl sink and drainer, tiled splashbacks. 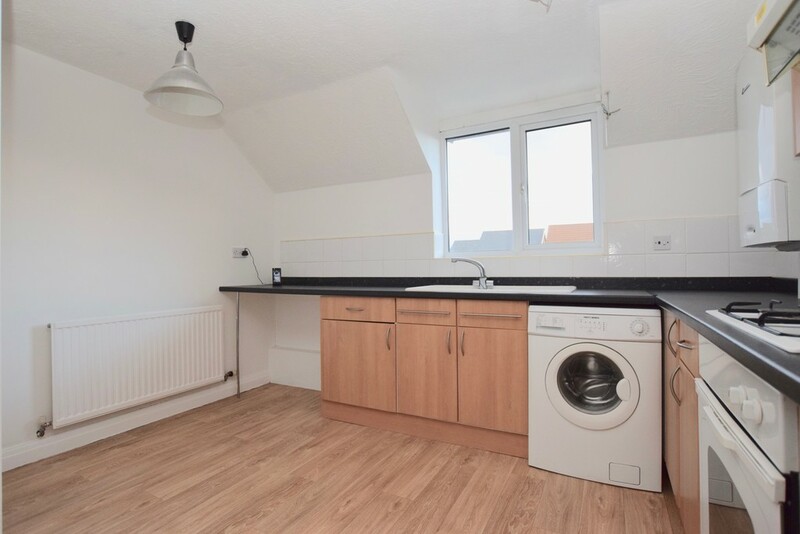 Free standing washing machine and fridge included. Wall mounted gas fired central heating boiler. Window to rear aspect, radiator. BEDROOM 14' 3" x 8' 5" (4.34m x 2.57m) Window to front aspect, radiator. 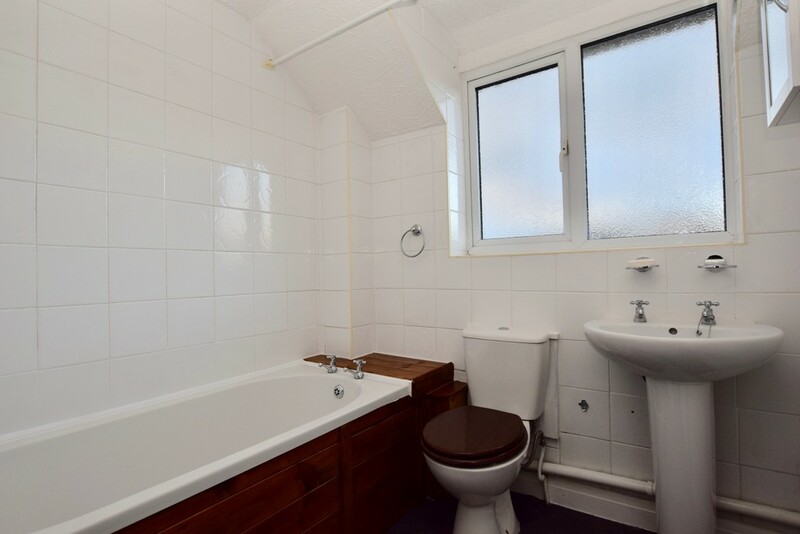 BATHROOM White suite comprising bath with shower over, basin and WC and part tiled walls. Opaque window to rear aspect, radiator. OUTSIDE Allocated off street parking space. LEASE INFORMATION This is a leasehold property and the vendor informs us that there is no ground rent or maintenance charge and that there are 99 years remaining on the lease. The owners of each property within Holme Court are responsible for the upkeep of the courtyard and will share the cost of works when required.